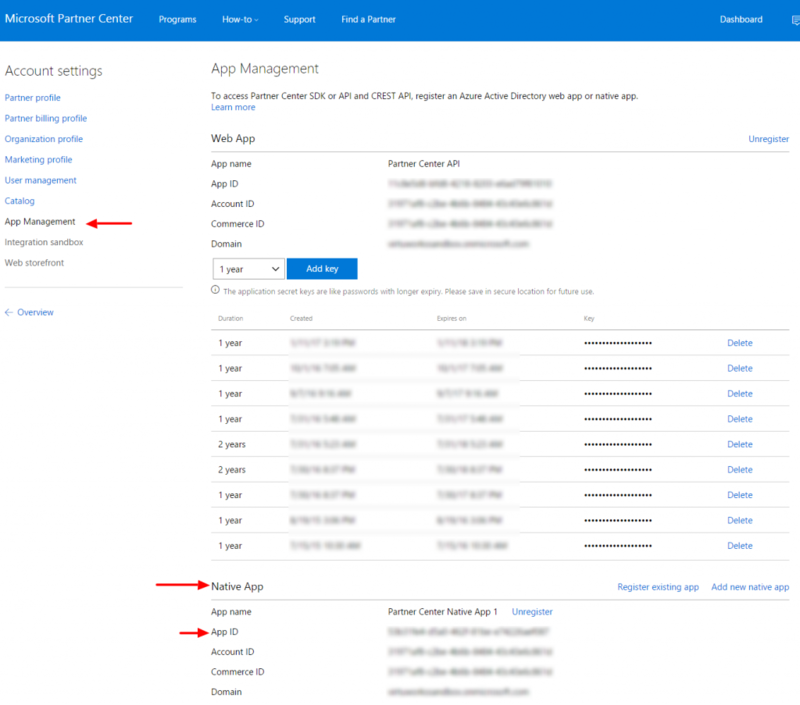 Need to create Native Application in Partner Center Portal and save App ID as parameter in Microsoft Online Service Settings. Also, need set parameters Azure Currency and Azure Region in Microsoft Online Service Settings. 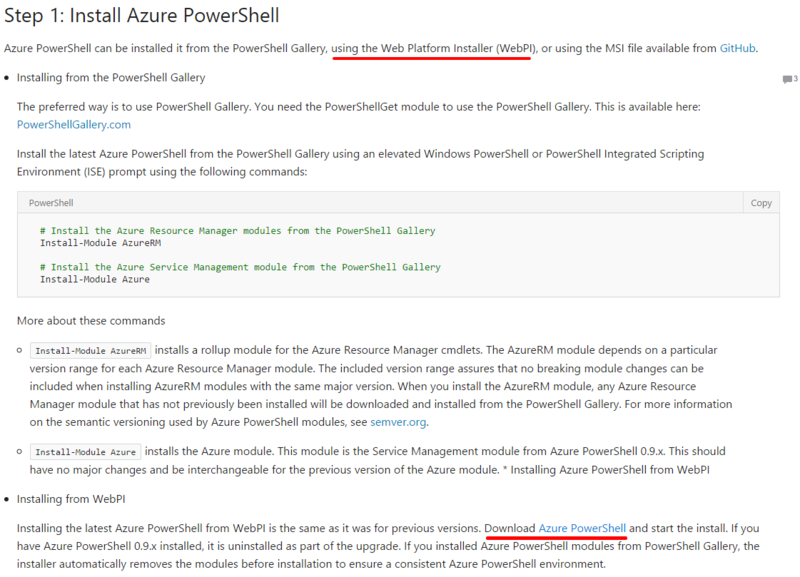 Azure offer parameters can be installed in Form ”Settings – Policies – Azure CSP offer”. Offer Id “MS-AZR-0146P” used in sandbox environment, “MS-AZR-0145P” – in work environment. For switching On Azure Subsystem, Quota “Enable CSP Azure Subscription” should be enabled. Azure Max System-wide Spend Consumption - Utilization Records collecting stopped when Quota exceed. Azure Subscription Created on form “Organizations – Organization – Azure Settings”. Also, you should set here Azure Budget value. Set Azure Policy values in form “Setting – Policies – Azure CSP Policy”. 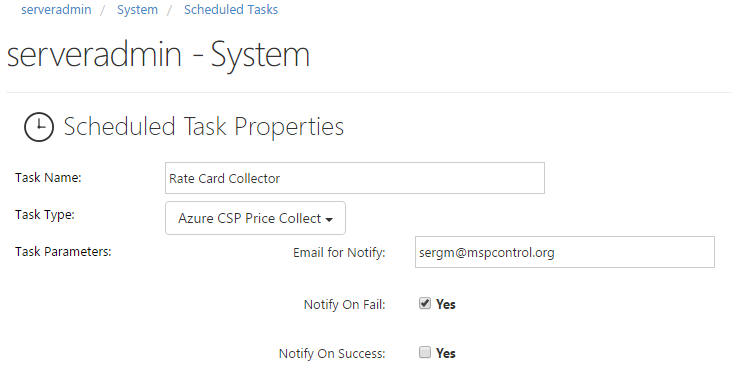 Create and periodically start admins Scheduled Task “Azure SCP Price Collect” for collecting Azure Prices (Rate Card). Price should be collected before first billing period. 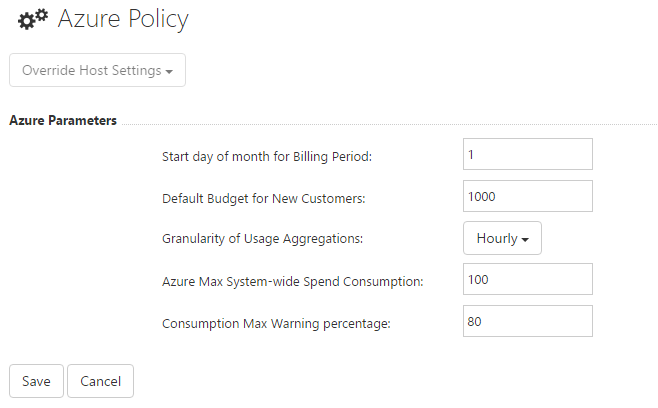 Prices can be viewed on Form “Settings – Policies – Azure CSP Prices”. 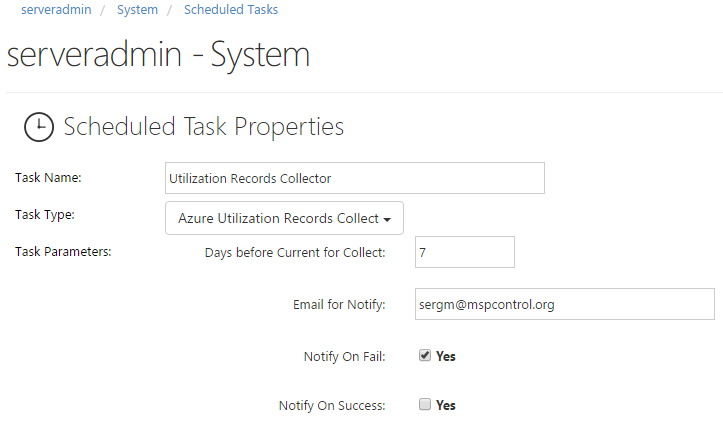 Create and periodically start admins Scheduled Task “Azure Utilization Records Collect” for collecting Usage data (Utilization Records). Report is sending to specified Email and to Customers tenants which has in Azure Settings Form parameter "Enable Sending Consumption Report" enabled. Scheduled tasks for Notifications of reaching Azure budget percentages. Check for reach Azure Budget warning percentage. Check for Azure Budget exceed. Check for reach Azure Budget suspension percentage. Subscription automatically suspend if “Automatically Suspend Azure CSP Subscription” Quota enabled. Percentage values set in Hosting Plan. Tasks are available on Serveradmin and Customer levels. Notification are sending to owners of Tasks Spaces and Serveradmin (if last set on Task parameters form). 13. Admin Scheduled Task “Check for reach Azure System-wide Limit percentage”. If total for System Azure consumptions (in SCP prices) are close to the value of Quota “Azure Max System-wide Spend Consumption”, this Task will send notifications to specified Emails. 14. Mail Templates used in Azure Subsystem. 15. 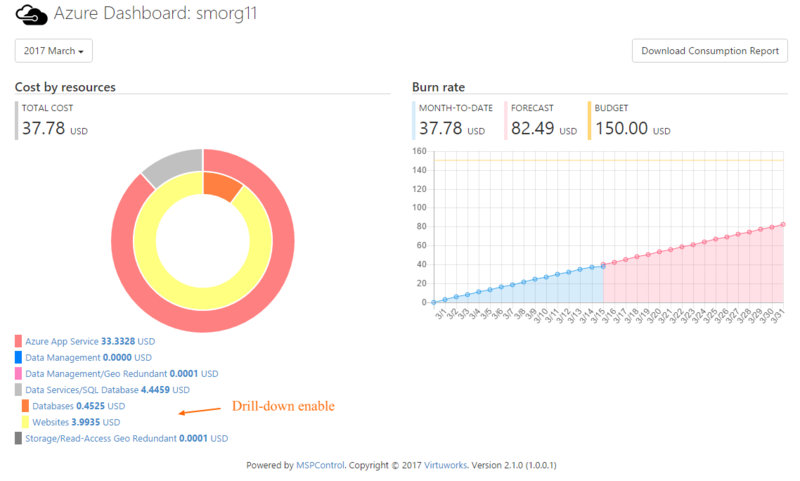 Azure Dashboard is available from Customers Home page. 16. 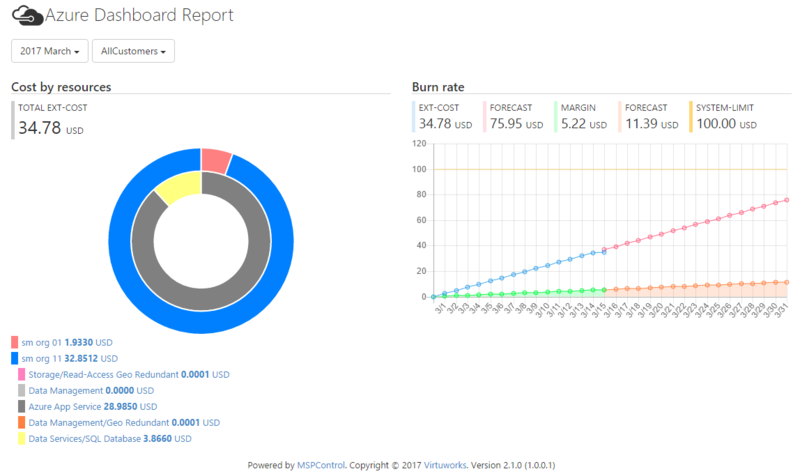 System-wide Azure Dashboard Report is available for Serveradmin and Resellers from menu “Reports”. You can periodically generate Invoices for payment. Set value of Quota “Azure Credit Limit” for Microsoft Online Service. Invoice will be created as soon as the Azure consumption exceeds this value. If you set zero or unlimited value, Invoices will be created once a month. 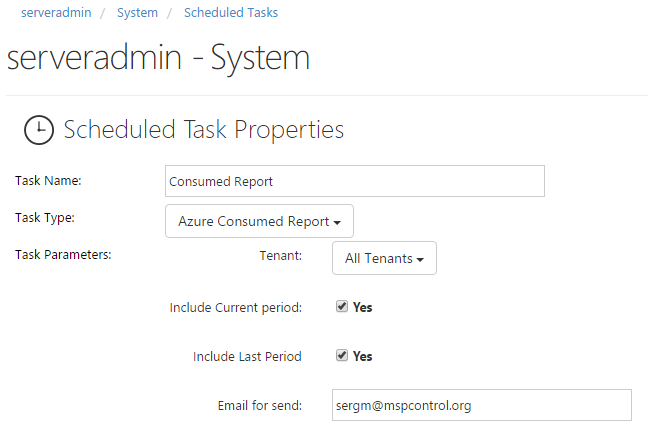 Configure scheduled task “Create Azure Ecommerce Invoices”. If you want create invoices once a month, recommended set start time of task some hours (or maybe day) later after start date of billing period (because Azure utilization data is getting with delay). After all settings, described above, system start collecting Invoices data in these tables of database: AzureEcInvoices, AzureEcInvoiceItems. You can use it for your aims (read only). You can include Azure invoice management to MSPC Subscription service. In this case Invoices will be sending to Customers and control of Payments will be performed too. 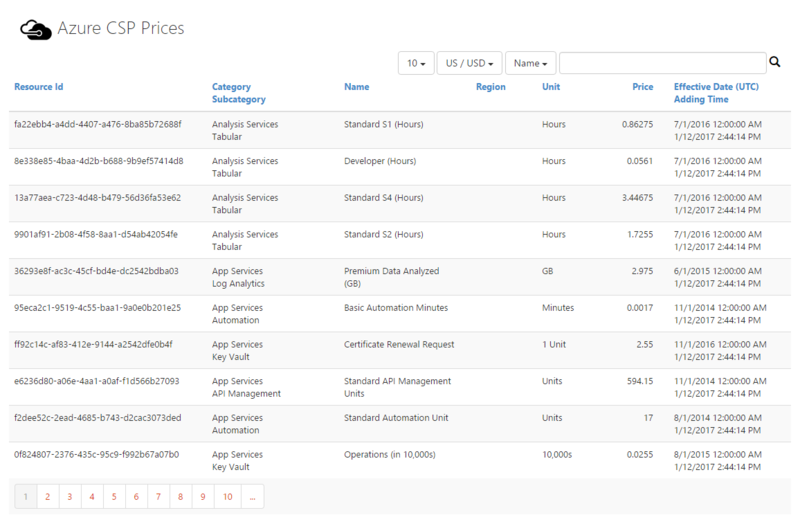 And many other features of MSPC Subscriptions will be available. 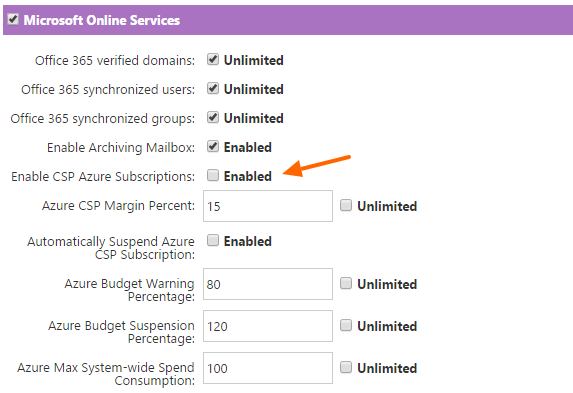 Create Subscription and add to it Add-ons with “Enable CSP Azure Subscriptions” Add-on is need for each Organization that will be have Azure subscription. 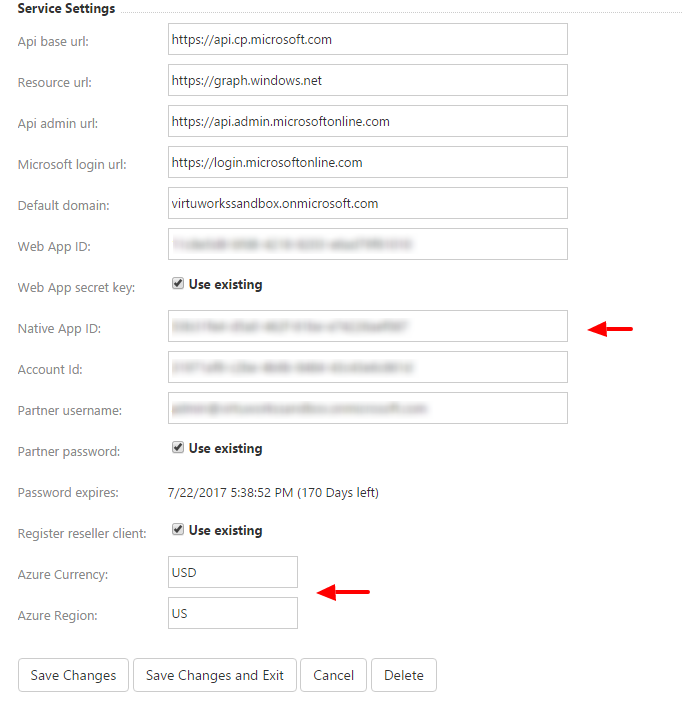 When create Azure subscription you should establish relationship with MSCP Subscription Add-on in Azure Settings Form. If you want to force this relationship, set “Force MSPControl Subscription RelationShip” quota for Subscriptions Service.